The File Attachment module is a versatile and handy module in Cardiobase that allows pertinent patient related documents to be linked to a patient’s records. 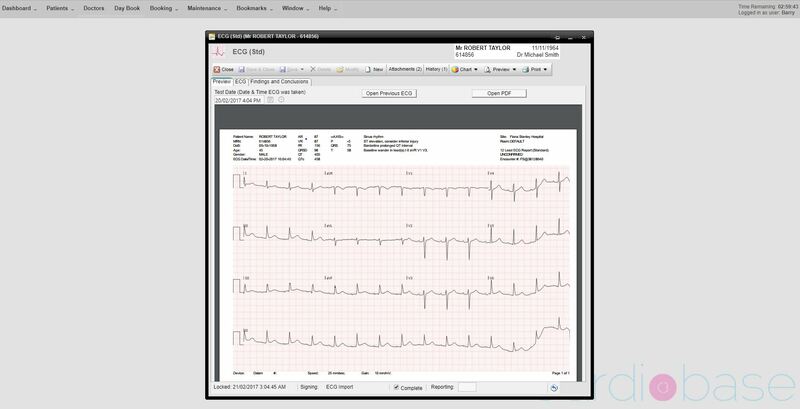 It can be used as a simple manual document attachment utility or can be automated for such images a s ECGs and other linked files. An example of automated image insertion into Cardiobase. In this case an ECG has been imported.